Blackberry Dropbox App is an online service to upload files and access them from anywhere via the internet. 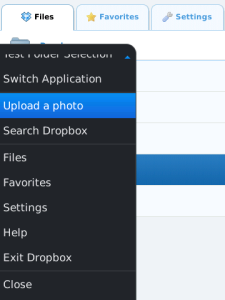 With blackberry dropbox app you can securely share files with other users. Blackberry DropBox provides 2G of storage space for free and sync files online. Blackberry dropbox app can be used as backup your files online for access from your BlackBerry. For easy install you can use the blackberry app world. - Browse the files in your computer dropbox folder easily. - Open images and other media directly through the app. - Upload photos to all of your computers at once. - Share links to your files over email. - Search through your dropbox instantly. - Export files to other apps.